I screamed at my kids the other day. I’m embarrassed to admit it, and the inner people-pleaser in me wants nothing more than to delete that first sentence altogether. But for the sake of transparency, I’ll lay out the truth void of neatly tucked edges and flowery language. I’m a minister’s wife and writer whose sole purpose in life is to counsel and champion teen girls and women to reach their fullest potential in the name of Christ. But I occasionally scream at my kids. I’m a mother of three beautiful, funny, clever children, but periodically I holler at my kids. I’m married to a supportive, loving, help-around-the-house kind of spouse, but sometimes I still shriek at my kids. If there were ever someone least qualified as the patient type, that’d be this girl. I’m more type A than anything. Not too long ago, someone I love whose children are now grown shared with me how she determined when her kids were babies that she would never raise her voice at her children. And apparently, she never did. While I applaud her for this feat and on many occasions have made this own determination in my mind, I still find myself teetering on the edge of a verbal vomit explosion. I’ve found myself ashamed of my heated reactions to my children and wonder if I’m the only person who’d be utterly embarrassed if all of my interactions with my children were recorded for the entire world to see. After a brief episode of me clenching my fists and falling into a heap on the floor in my best melodramatic style, I cease my fretting, come back to reality, and truly picture all of what they would actually discover if my life really was on public display. 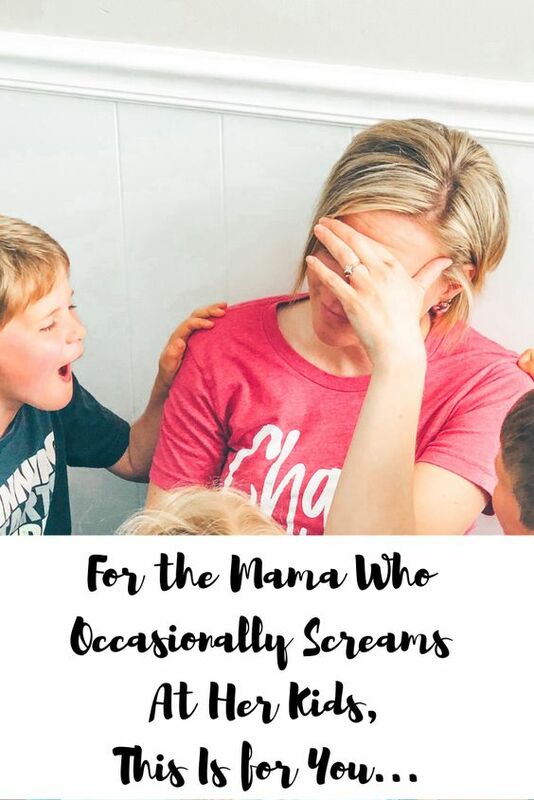 If you occasionally scream at your kids, then this one is for you, Mama. They would see copious amounts of cuddling. Oh, those sweet and all too brief moments when our little ones pause their own scurrying and screeching and scrambling about for just a squeeze in their mama’s arms. These moments are frequent and filled with love to boot. They would witness contagious, unrelenting laughter. I’m talking belly laughs that sculpt your abs more than any circuit training session could ever muster up. These giggles turned chuckles turned snorting howls are the norm and open the door to infectious joy flooding the insides of our home. They would observe humility in action. Those moments spent on our knees, eye-to-eye with our little ones, apologizing for Mommy’s bad attitude or thoughtless actions are teachable moments our children will remember for the rest of their lives. These are the opportunities in which our children learn about grace and mercy and forgiveness. These are the times they see a glimpse of Jesus in us. They would detect the warmth of comfort distributed in times of sadness and disappointment. As tears flow from our precious children’s eyes when their feelings are hurt or their tender hearts broken, Mommy is there to run her fingers through their hair, hold them in the middle of the night when their fears keep them from restful sleep, and speak truth and peace into their hearts and minds. We point them to hope and light. They would perceive a love that is unmatched by anything other than the love that flows from God Himself. No matter how naughty and mischievous and frustratingly disobedient our children can be, Mommy forgives and distributes love unconditionally. They would behold a mommy who prays for her children. Whether out loud for morning and evening and mealtime prayers or knelt bedside, hovering quietly over her little ones’ heads in the solemnity of the night, you would see a mommy who desires nothing less than the absolute best for her children. She leads them to Jesus. There is so much more to you than a woman who occasionally hollers at her kids. We are not perfect, nor should we expect ourselves to be. We have a God who is more than capable of filling in the gaps of motherhood that are glaringly obvious to us. Our job isn’t to be perfect but to love as the Father first loved us. Friend, recognize your God-given strengths and abilities to guide your little ones well. This is what makes you more than a mom who screams at her kids. 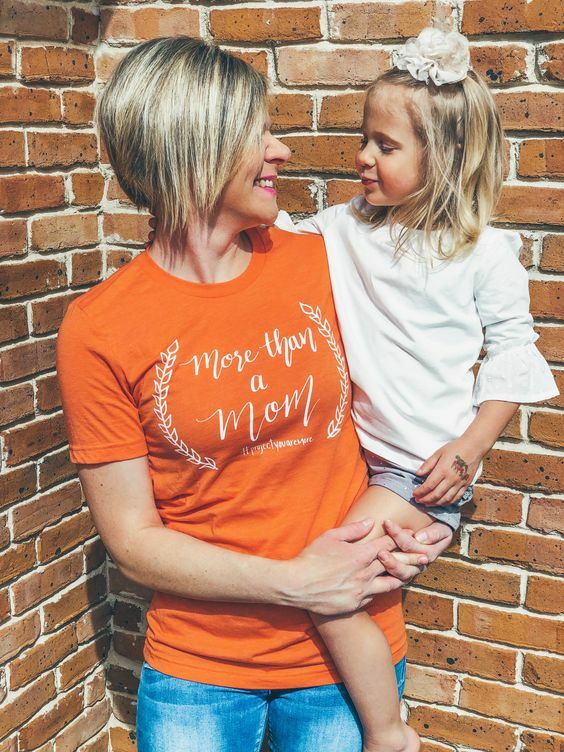 You are a mom who lives, loves, and leads well, and no amount of miniscule, mouthy mess-ups can change that. I love this Steph! You gave me so much to chew on as a mom! Thank you for sharing your wisdom! You’re so welcome. Thanks for taking time to read! Thank you so much for this!I needed this today! Thank you, Ali! You are the sweetest! This is so true friend! There is so much more that is behind the scenes of our little mishaps. Because sometimes we need help finding the joy amidst the junk.